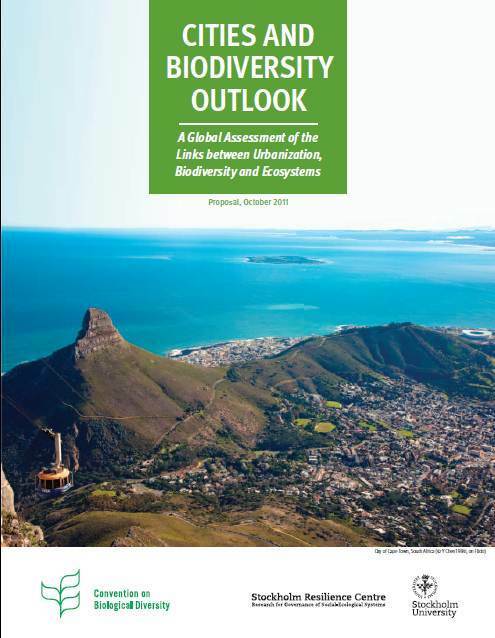 Decision X/22 of the tenth meeting of the Conference of the Parties to the Convention on Biological Diversity (CBD) called for the production of the “Cities and Biodiversity Outlook” (CBO-1). The first edition of the CBO-1 will consist of a global assessment of the links between urbanization, biodiversity and ecosystem services. Combining science and policy, scientists from around the world will analyze how urbanization and urban growth impacts biodiversity and ecosystems, delivering key messages on the conservation and the sustainable use of natural resources to decision-makers. Cities, local authorities and sub-national governments will have the opportunity to showcase their practices on sustainability and biodiversity and learn from existing experiences how to incorporate those topics in their agendas and policies. The preparation of the CBO-1 will be guided by an Advisory Committee. Within the Advisory Committee urban wetland issues are being represented and co-ordinated by Rob McInnes of RM Wetlands & Environment Ltd on behalf the Ramsar Scientific and Technical Review Panel (STRP). For more information please go to http://www.cbd.int/authorities/cbo1.shtml where a publicity brochure is available for download.